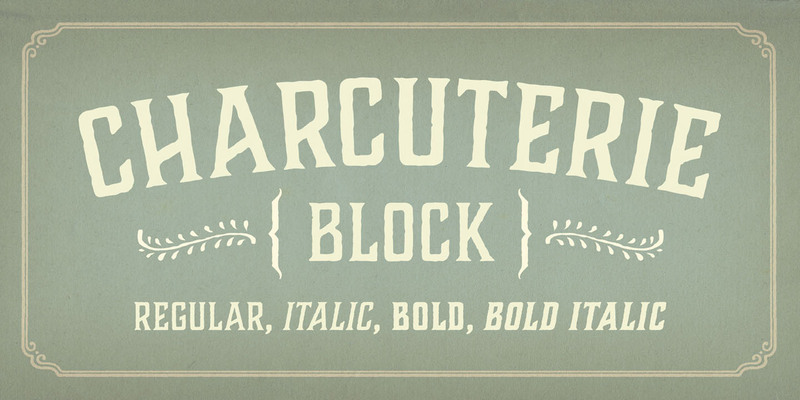 With its thick wedge serifs and steeply angled crossbars and terminals, Charcuterie Block cuts a bold impression. Set it large and tight for searingly effective headlines. A font family published by Laura on Wednesday, July 27th, 2016 that has 1,426 views so far.